My DGD is 5 this year, and that girl loves dresses. BUT. She has opinions. Sparkly, golden, twirly, not-scratchy are all good things. 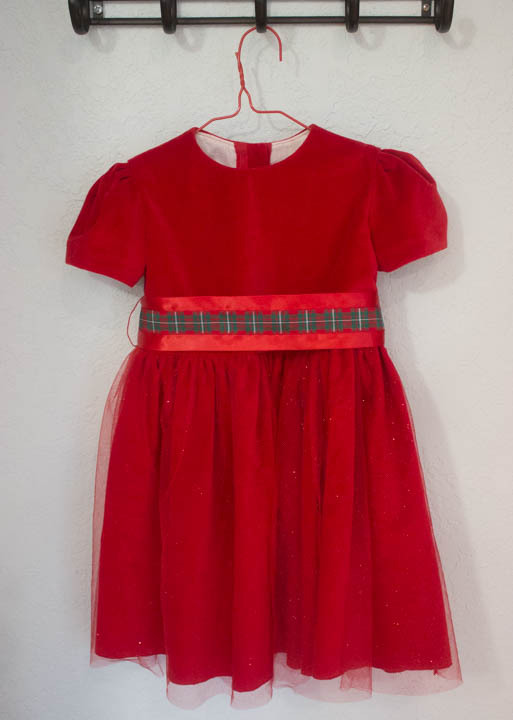 I used a vintage Nannette pattern for Oona’s Christmas creation, McCalls 9479. I made view the short and sweet dress version from red cotton velveteen with a sparkly red tulle overskirt. There is no such thing as too much sparkle for my gal! Since Oona is a skinny-minny, the size 4 was closest to her body measurements, but since she is also tall I was just able to squeeze another 2 inches out of the yardage for the the skirt length. The construction was fast and simple. I decided to line the bodice rather than use facings for a cleaner finish on the inside. A scrap of white cotton from my stash fit the bill for that job. I love the finish on the sleeve hem. The sleeve facing makes the curved hem lay flat, and a quick hand stitching around the top facing edge makes the sleeve finish smooth and pretty on the outside, too. Winning! Isn’t it funny how little details like a faced sleeve hem excite us sewists? Try explaining that feeling at your next cocktail party! I gathered the tulle and the velveteen together for the skirt, but kept the tulle as a separate overskirt so someone could not complain about any tulle itching on the inside, See, I am learning. Both layers are stitched to the bodice first, and then I serged the edges to control those pesky velveteen ravels. 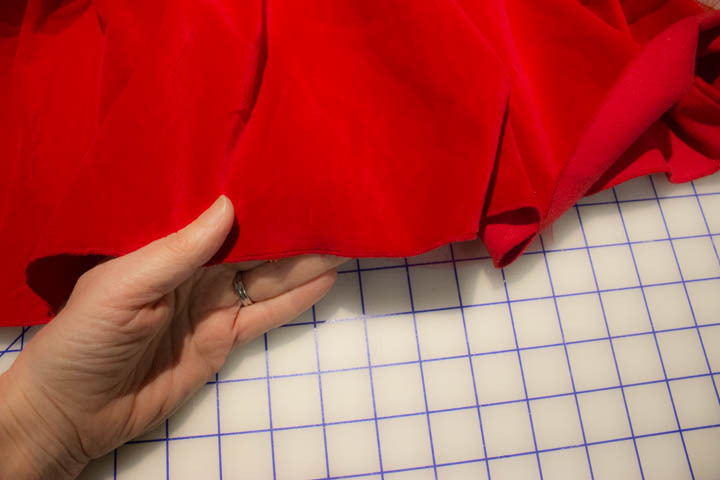 The skirt is very wide, so all the bulk of the gathered velveteen made the skirt super twirly. Bonus points! Oona cooperated for a fitting session, and I was shocked that the dress was barely long enough, even with the addition of 2 inches to the skirt hem. Soooo, I cheated on the hem finish and used my serger to run a narrow 3-thread stitch along the hemline. I figured a rolled hem would be too wonky on velveteen, and I have found the narrow 3-thread stitch looks very similar to a rolled hem and isn’t so fussy to make. And with the tulle overskirt my “fake hem” doesn’t show at all. 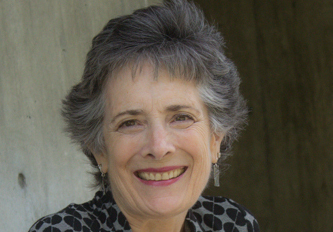 Sorry Shirley, I know you taught me better. But tough times call for tough solutions! 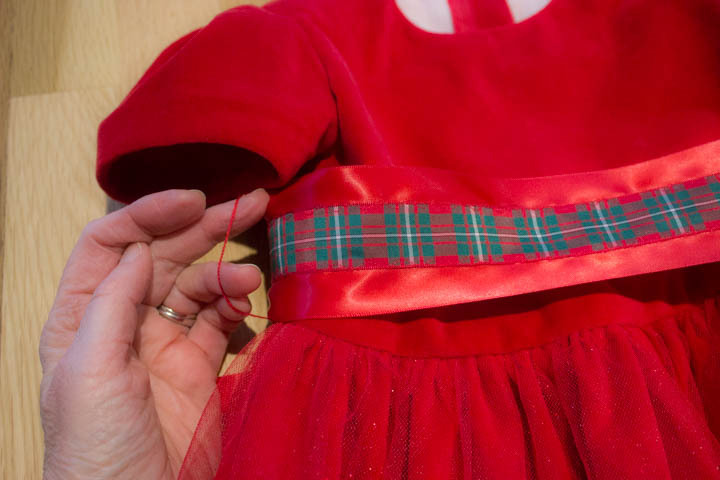 I couldn’t find a single ribbon I liked for the dress that was the width I wanted, so I stitched some Christmas plaid to a red satin ribbon. 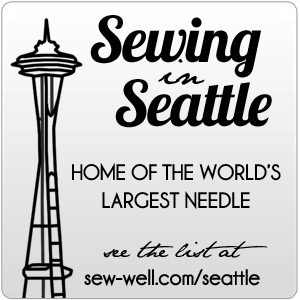 And that narrow 3-thread serger stitch? It creates the perfect belt carriers. 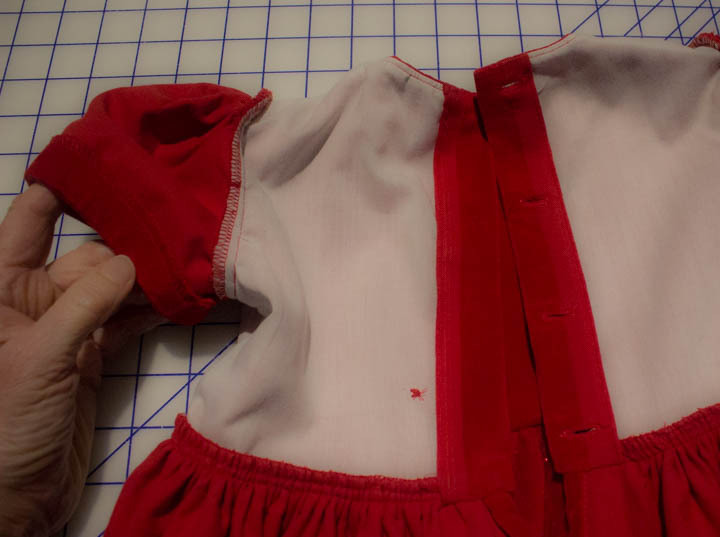 A quick hand stitch to tack the carriers to the inside of the bodice and the ribbon sash stays in place, even when twirling! 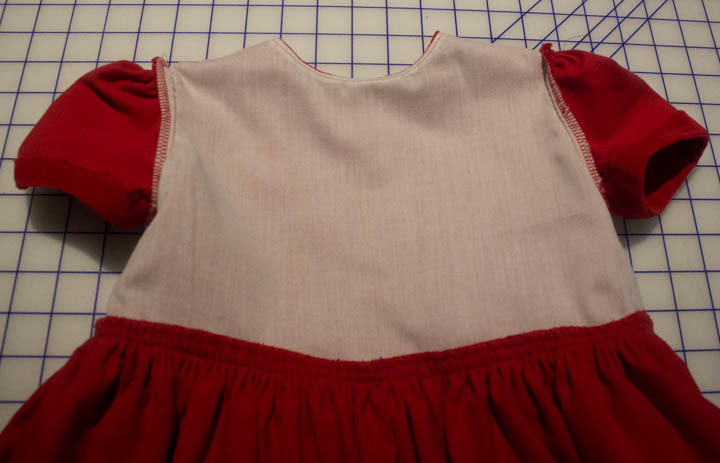 I originally had made a summer dress for Oona’s mother using the same pattern, but view B with the scalloped hem and collar. 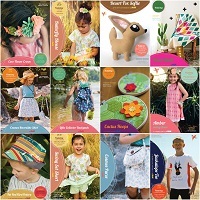 It was really a fun memory to make a dress for Oona with a pattern that I had originally used for her mom!